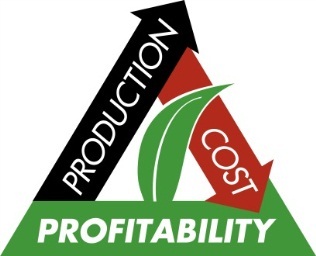 Corn Capital Innovations > Innovation Blog > Farm Profitability > Complacent or Compliant on Your Plan for 2014 and Beyond? Complacent or Compliant on Your Plan for 2014 and Beyond? Being complacent is being satisfied with how things are and not wanting to change them. Being compliant is being willing to and agreeing to change. The Ag Market we have experienced in the last 3-5 years, being complacent may have still worked. In these last years the market and revenue was on an upswing, we had short crops and higher revenues. American Farmers have experienced the biggest corn and bean crops in history, however, with the declining value (market prices) and margin potential, we must say “good-bye” to complacency and “hello” to agreeing to change and being compliant! If we don’t quickly become compliant and start doing those things that make a difference we will not find profitability in 2014, 2015 and beyond. What can we do? Minimize our losses! With profit margins becoming tighter (crop input costs moving up and crop prices moving down) the farmers that are willing to be compliant, manage their margins, and make a plan for the future are the ones that can expect success, even in a volatile world. Thinking about maximizing the opportunities the market gives you, keeping an eye on break evens, minimizing mistakes and healing mistakes that have been made, will put you ahead for the coming years. A $50 mistake from the past is really like a $150 mistake now, because lost margin is creating a negative impact. Farming is a tough business and I think all business out there struggle from time to time. How will you work through these struggles? We specifically tailor these four components to each individual farming strategy. Let us work with you to create a positive impact on your overall operation for 2014 and beyond!